While the allure of the Old West, a historic downtown and breathtaking scenery remain major components of its economic base, Sheridan County’s community leaders are also cashing in on the next frontier – technology. The leadership has not forgotten its roots, which are still flourishing in a tourism-based economy. During the past year an economic development task force comprised of key members from the Sheridan County Chamber, City of Sheridan, Sheridan County, Forward Sheridan, the Wyoming Business Council, and other organizations actively worked together on forward planning for the community. We’ve taken steps to ensure Sheridan County is more than just a vacation destination. A recently completed streetscape improvement project welcomes residents and visitors alike to North Main Street, Sheridan’s main thoroughfare, and the City, Downtown Sheridan Association, and North Main Association are working to better define the district through improved gateways, parks, trails, design standards, and pedestrian and cyclist access. 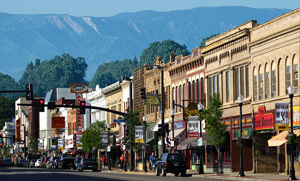 Consistently ranked at the top of Best of the West lists, Sheridan boasts a vibrant downtown that features a major country music festival each June, weekly farmers markets in July and August, monthly street festivals in the summer that draw more than 3,000 each month, seasonal events, and the WYO Theater, a live-performance venue. And the biggest event of the year is always Sheridan WYO Rodeo Week in mid-July. Renovation of historic downtown warehouses for business and residential options is also creating new opportunity for the downtown area. In 2010 Forward Sheridan, the local economic development organization, partnered with the County of Sheridan to start a new business incubator, supported by a $1 million grant from the Wyoming Business Council. By February 2011, the incubator had reached capacity – all of the offices were were occupied with tenants working on new technology-based business models. This included Apollo Telemedicine evaluating and building video conferencing capabilities for hospitals and mental health clinics throughout the state, a start-up business creating phone applications for nurses and first responders, another writing computer code, another providing environmental technology to Wyoming’s profitable extraction industry. Then in late 2014 the County of Sheridan partnered with the City of Sheridan to bring a branch of the Wyoming Business Technology Center (WTBC) to the Sheridan community – the WTBC itself being a business development program of the University of Wyoming supporting the growth of early-stage, technology-based and high-growth companies. The existing Sheridan incubator was made a part of that new WTBC operation and continues its success story here. Another job generator is the recently developed 38.5-acre Hi Tech Business Park. The park, once a part of the Wrench Ranch, provides shovel-ready sites for advanced manufacturing businesses. With its interstate access and redundant high-speed Internet capabilities, the park got its first tenant Vacutech, a manufacturer of commercial, industrial and medical central and mobile vacuum cleaning systems, in 2011 – Vacutech initially created 35 new jobs in the Sheridan area and now already grown to employ over 60 workers. The second tenant of the park not long after, in 2012, became Ptolemy Data Systems, a high-tech support business and data center. Then there’s Advanced Communications Technology (ACT), located in downtown Sheridan, that has developed fiber networks now deploying speeds over 100 Mbps and even 1Gbps, and just last summer completed the extension of its long-haul fiber network from Casper, WY down to the Wyoming/Colorado border. High technology … a new frontier and a perfect fit for Sheridan County, and for Wyoming.